This past weekend (Feb 1-4th, 2019), the Pawlytics team went down to Austin, TX for the American Pets Alive! Conference to soak up information from some of the most successful animal welfare organizations in the country. One of the classes we attended was the FeLV Cats Luncheon**, and here is a little bit of what we learned. Let’s start with information most of us are familiar with: cats are typically the reason we struggle to get to no kill. And what is harder to adopt out than just a cat? A cat that is FeLV positive. FeLV cats are the last 10% of cats that need saving when working towards your no kill vision (typically). I knew the term, I knew the cats were different, but I didn’t know how or really what FeLV meant literally or what it meant for the cat’s life. So, for everyone who had no idea like me, what the heck is FeLV? FeLV (or Feline Leukemia Virus) is a retrovirus that attacks the cat’s immune system. It is not a form of cancer, it is a virus that weakens the immune system. FeLV is spread through saliva, nasal secretions, urine, feces, blood, and the milk of infected cats. FeLV cannot survive outside of a cat’s body so you don’t have to worry about catching it yourself or spreading it to the other species in your home or shelter. And, for as long as we have known about FeLV, a myth has persisted that these cats live very short lives. However, new research has found that these cats can and do live just as long (sometimes longer) than cats who do not test positive for FeLV. Because the virus can be spread through sharing food, fights, and even grooming each other – it is recommended that these cats are housed with other FeLV positive cats. Historically, FeLV positive cats have been immediately euthanized at shelters. Many progressive organizations, such as Austin Pets Alive! (APA) are taking a different stance and working hard to place these cats in wonderful homes. It should be noted that FeLV cats get the exact same illnesses as cats who are negative for FeLV. The biggest difference is that FeLV cats should be treated earlier and more aggressively for sicknesses they contract. Anemia in FeLV cats tends to be severe during their end of life, at which point a quality of life decision must be made. Once a FeLV cat has anemia, it will not be able to recover because they will not be able to regenerate white blood cells like a normal cat. How can we save and place FeLV positive cats? Get creative!! The folks at Austin Pets Alive! realize that many still believe these cats have shorter life spans. So, they have been thinking outside the box and identifying adopters who may not be good candidates for pets with long lifespans. On top of adopting out to people who want to commit to a pet but are unsure of what they will be doing in 5 years, they offer incentives to these adopters. All FeLV cats can be adopted for free. APA will also pay for that cat’s associated medical care for the rest of its life. Sound insane? Don’t worry so did all of us in class. But – as it turns out this is genius. The average FeLV cat that has been adopted ends up costing them $50 for the rest of its life. Still sound crazy? Well, they did the math and a normal cat costs them approximately $22 a day in the shelter (food, vet, staff, etc). By getting the cat out of the shelter, they are reducing the cat’s stress and placing it in a loving home environment, reducing their costs of food and staff/volunteer time spent on the cat, and making space for another needy cat to enter the shelter. Like I said…genius! So, now that you have been armed with FeLV cat information and great adopters, how do you get adopters in the door? Use creative marketing techniques! Bring a friend who has never seen your shelter to the FeLV cat area and ask for first impressions. Do you have scary signs everything that may scare people away? Does it look like a prison-hospital hybrid? Reduce as many barriers to adopting and interacting with these cats as possible. 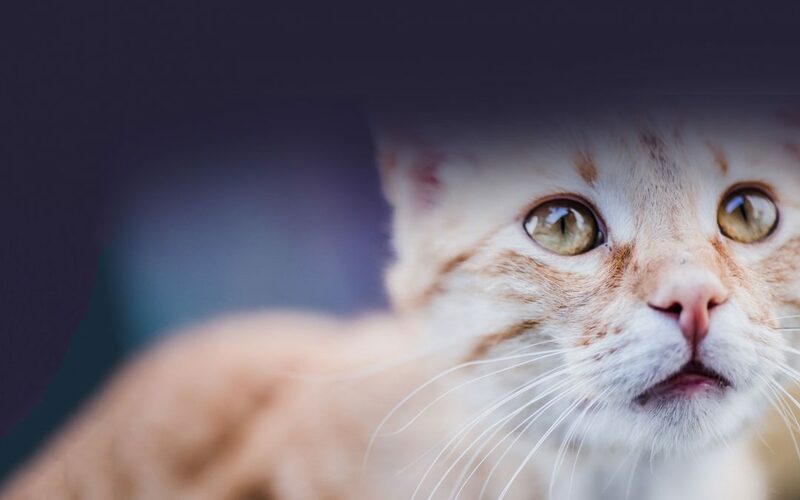 **This talk (Saving FeLV Cats) was given at the 2019 American Pets Alive! Conference by Dr. Julie Levy (Fran Marino Professor of Shelter Medicine Education at the University of Florida), Monica Frenden (Maddie’s Director of Feline Lifesaving, American Pets Alive! ), and Natascha Hamman (Feline Leukemia and Matchmaker Program Manager).